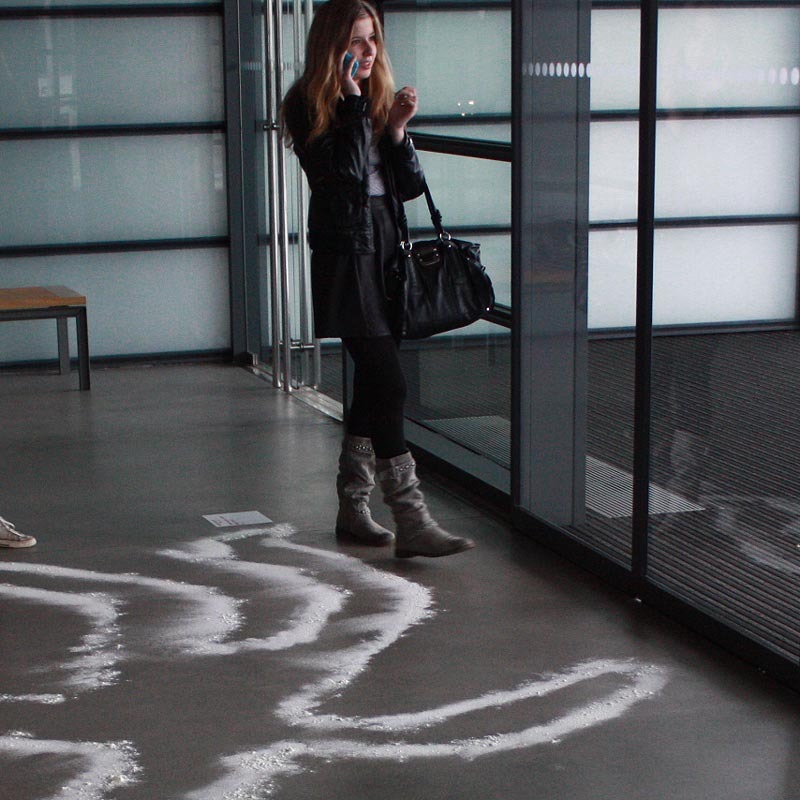 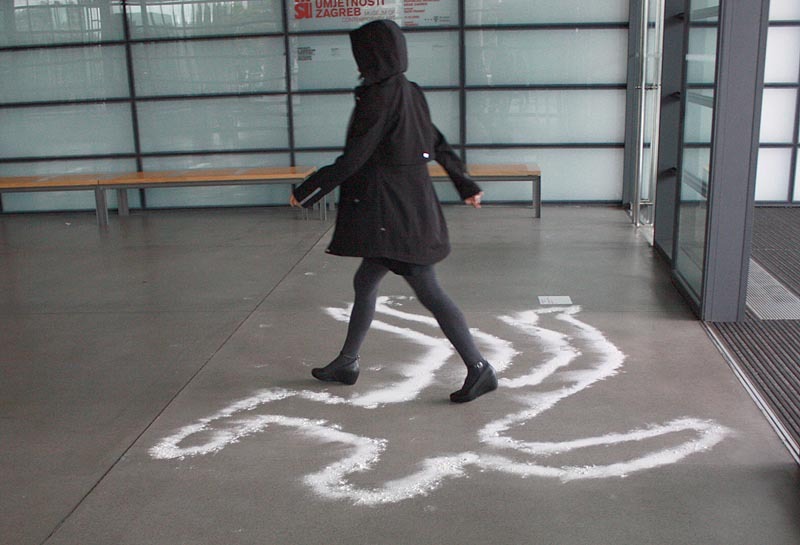 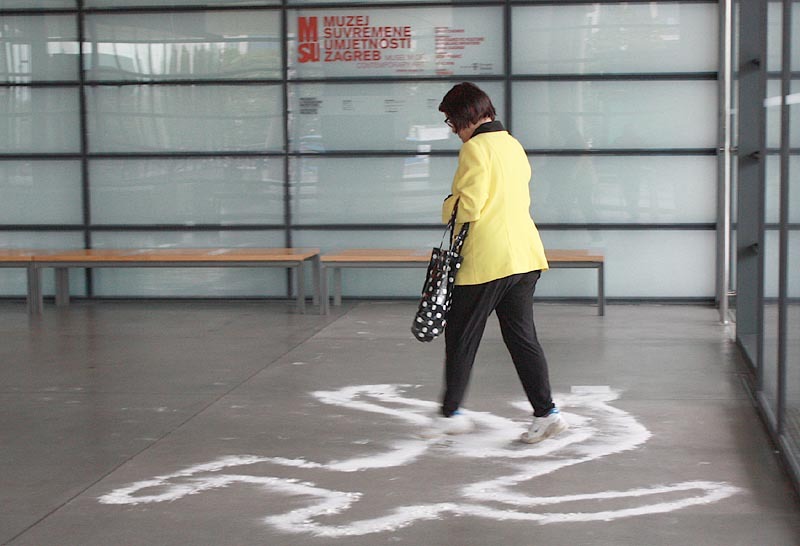 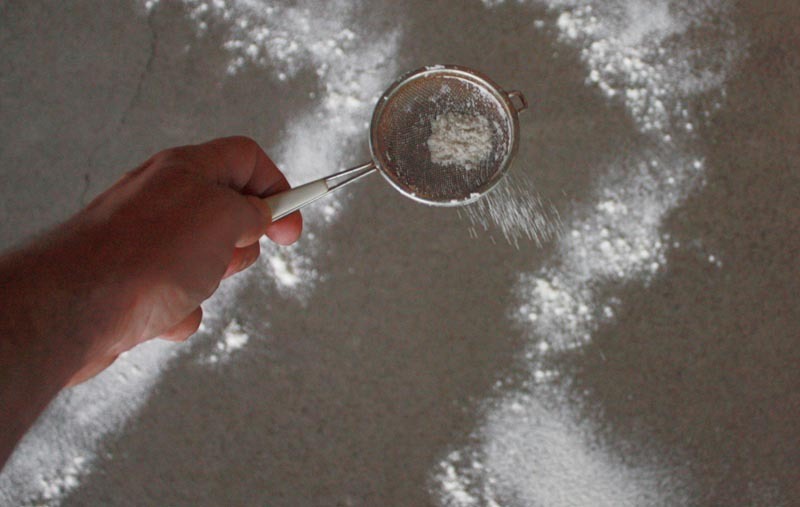 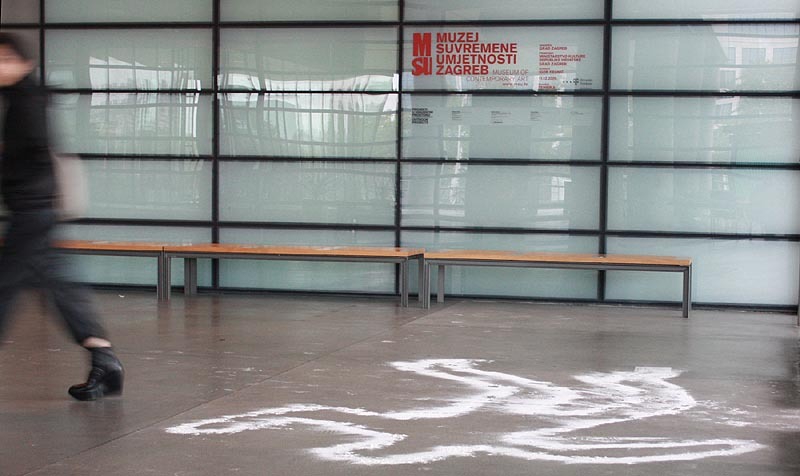 In the venues of The Museum of Contemporary Arts installation "The Spilled Flour" has been made. 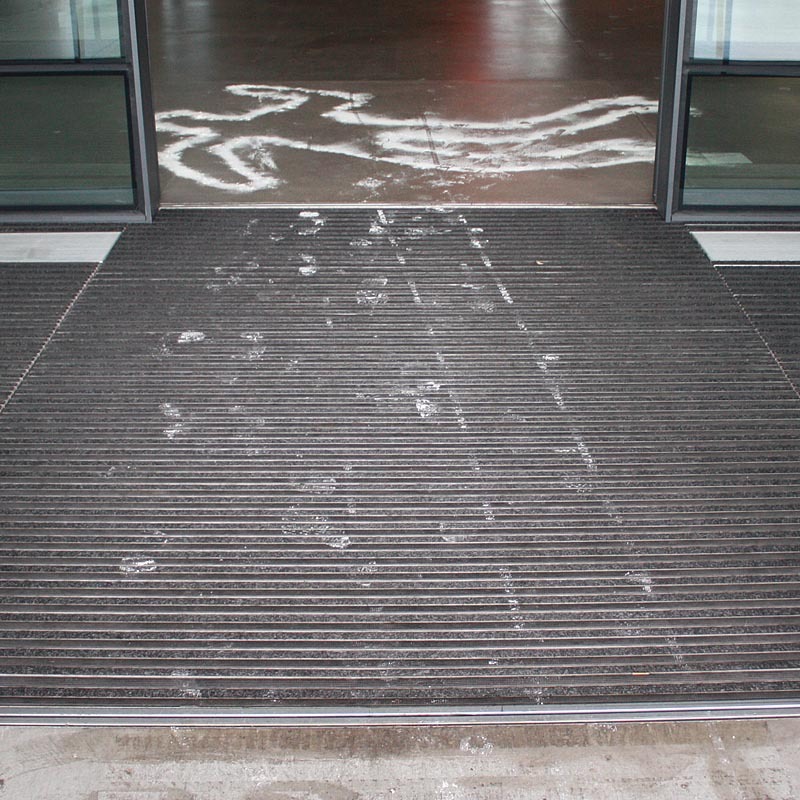 Behind the double automatic doors the outline of a woman has been made on the floor in the manner the characters are drawn with chalk on the scenes of violent crimes. 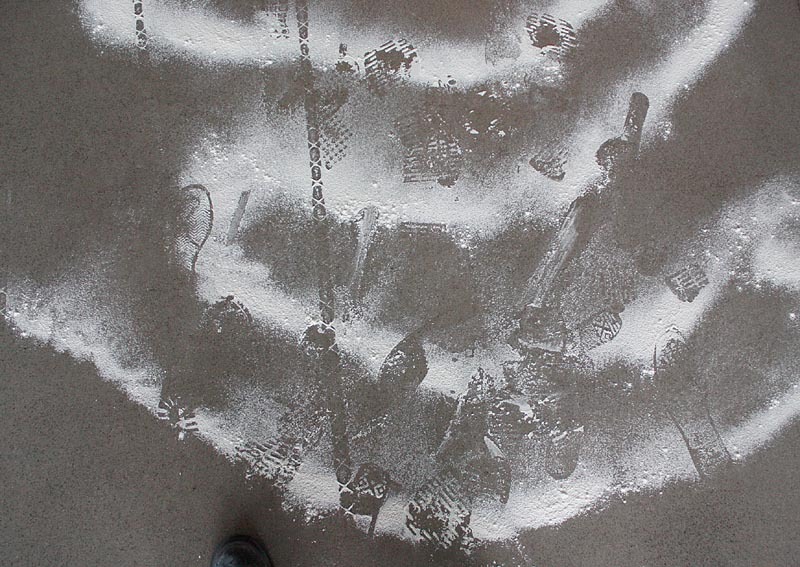 The outline was made with flour. 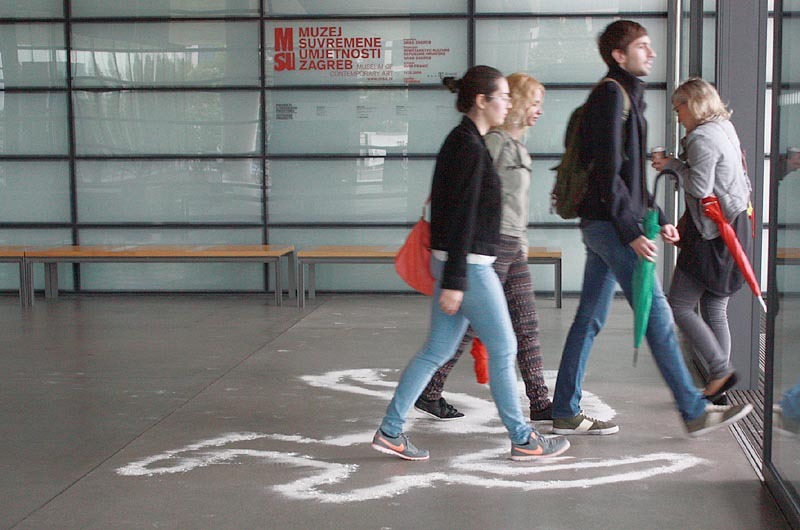 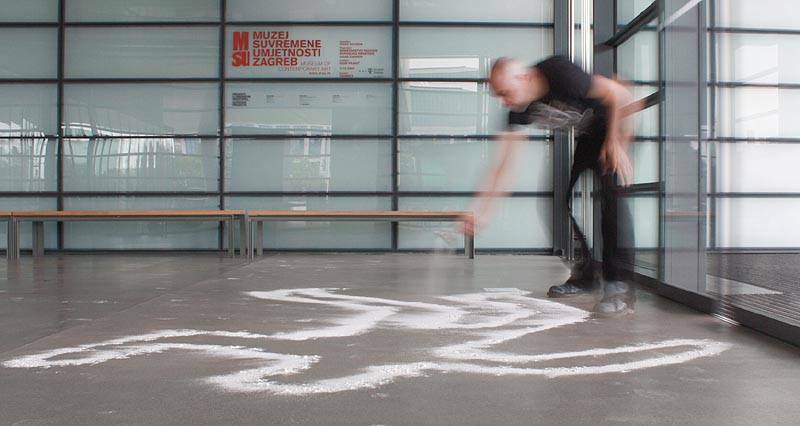 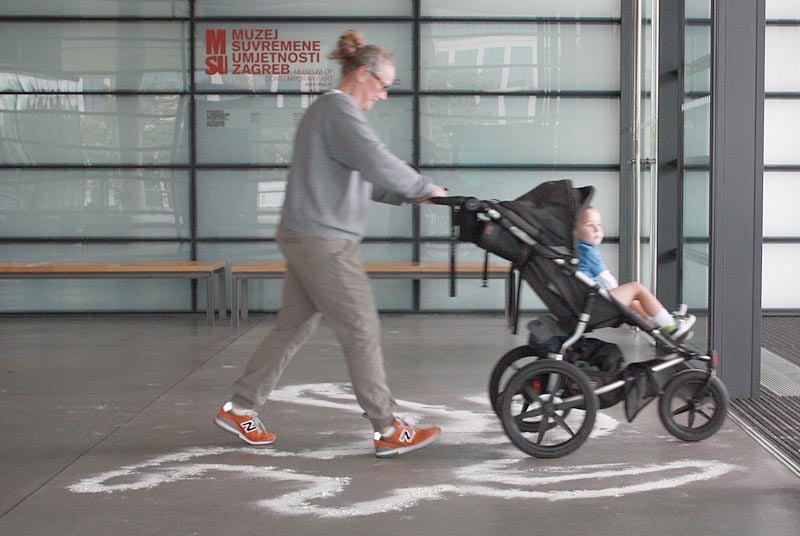 Usual behavior was changed and visitors passing by were forced to decide to walk over the drawing or to go around it, and to communicate between themselves different strategies of passing trough this new situation. 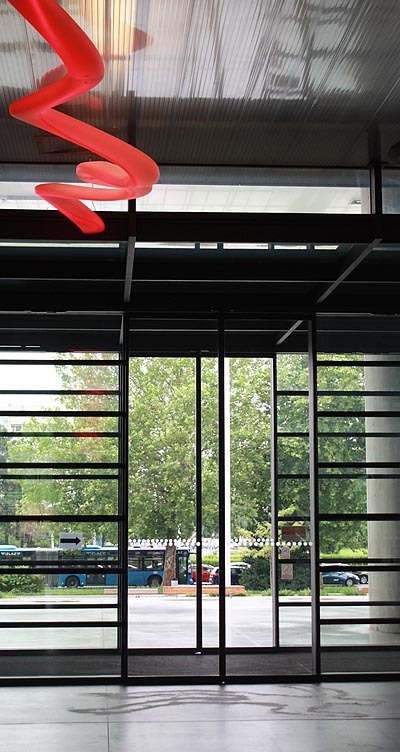 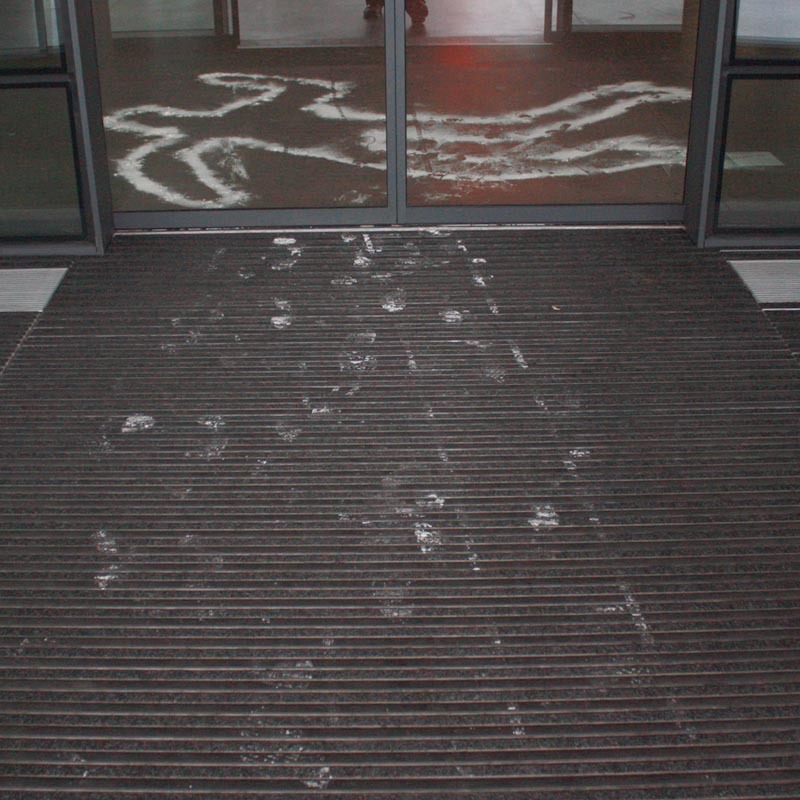 As the automatic doors were opening and closing, the outline made with the flour was slowly disappearing due to airflow. 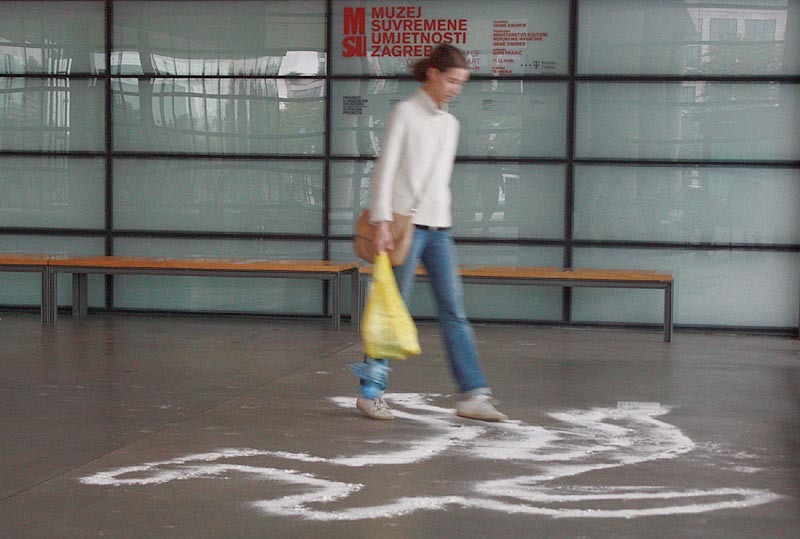 Also, the passerby with their feet were inevitably destroying outlines of that figure on the floor. 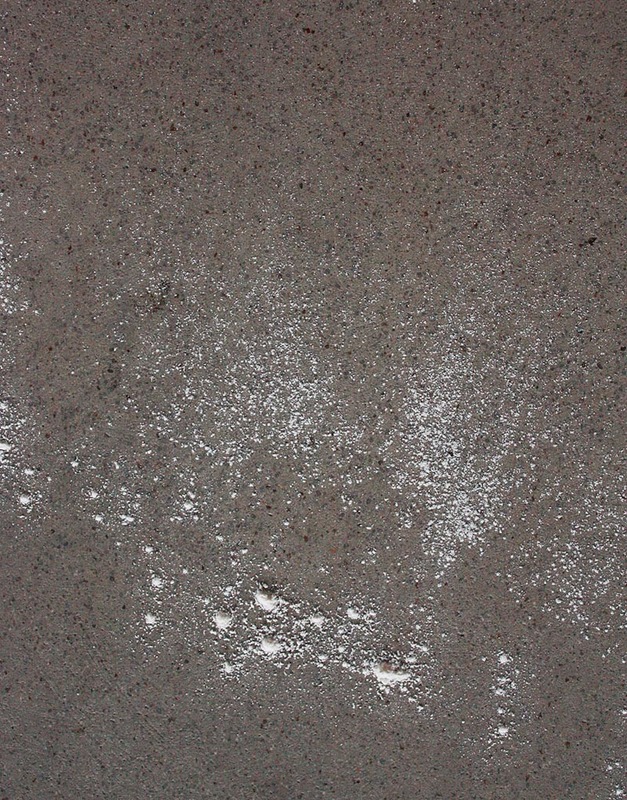 In this way, there has been a slow disappearance of the character, without any evidence that it even existed before, except to the smell of flour in the air and its particles scattered through space.